Nothing makes a Christmas tree more nostalgic than homemade Christmas ornaments. The care that goes into each crafted ornament gives the tree a special sparkle and adds some sentimental memories. Just because an ornament is homemade though doesn’t mean that it will necessarily look that way. Many of the ornaments I have seen look like they could have been purchased from a high end store. This first craft is a great example of high end. 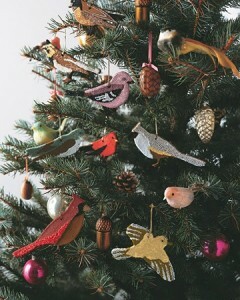 I happen to love birds and these rustic ornaments made by Martha Stewart are a wonderful way to decorate a Christmas tree. These even smell like cinnamon. Check out her tutorial for making this cute flock of sweet smelling birds. For more cinnamony goodness, try these simple star ornaments from Then She Made. I love how the cinnamon coating looks on the ornament. It reminds me of a rusty tin star. 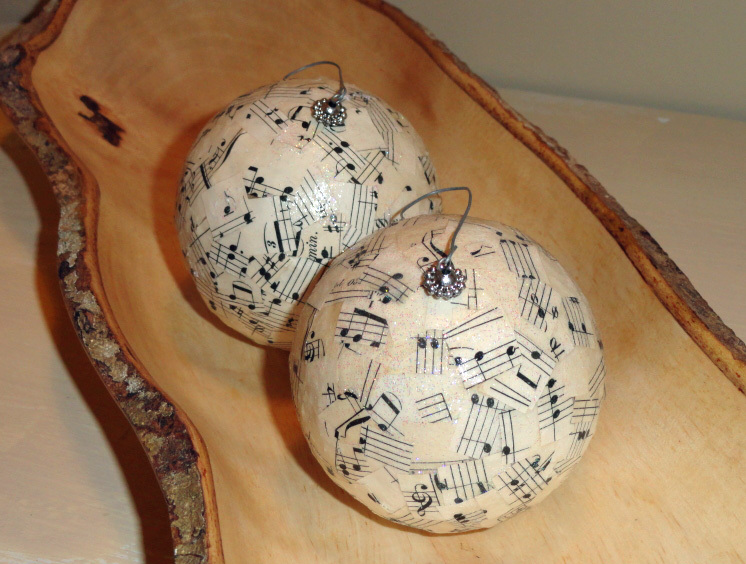 Imagine how good your house would smell with a handful of these scattered throughout your tree! This could be one of my favorite ornaments! Of course this would go perfectly with my Birch Branch potted Christmas tree. 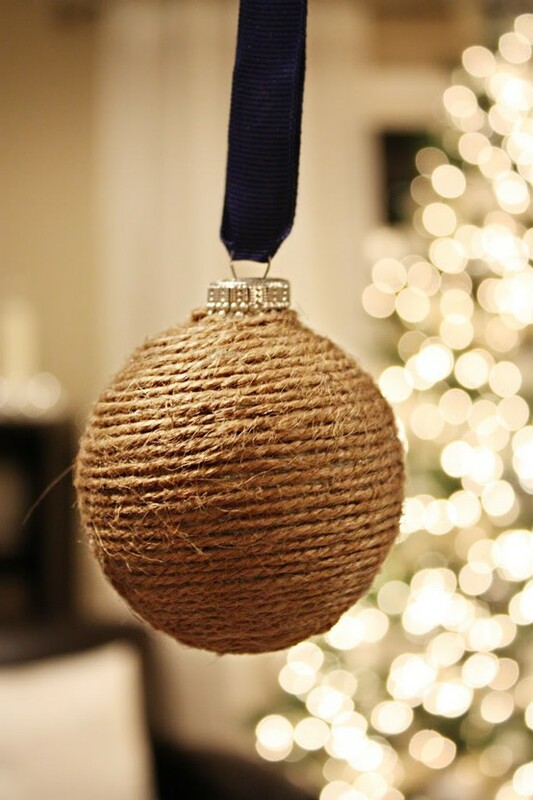 This rustic ornament by Michele Made Me is made up of twigs that are strung together. See how she pulls together this design. 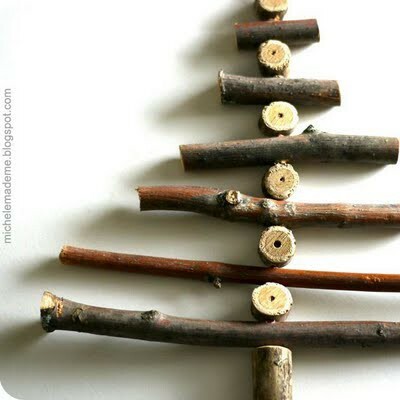 This next idea by Family Chic is so simple and unique, I just love it. 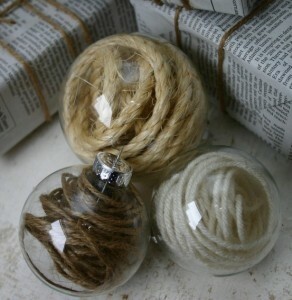 Different colored and sized ropes in clear balls look so earthy and chic. Along the same lines is this twine wrapped ornament by Bower Power Blog. It looks especially chic with the black ribbon that it hangs from. 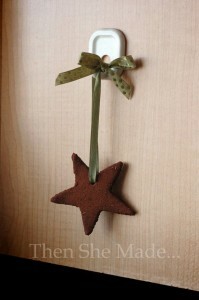 This Christmas tree and star ornament by Sassy And Sweet has some of my favorite elements. The song sheet, sparkles and button all add up to super cute in my book. 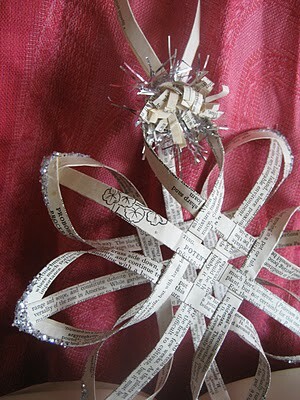 This elegantly shabby chic woven star ornament is made from vintage book pages. It is such a beautiful and intricate design by House Revivals. See exactly how this was made and give this one a try yourself. 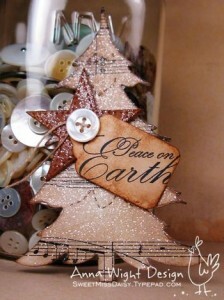 My vintage song sheet ornaments will add a joyful sparkle to your Christmas tree. See the easy tutorial here. 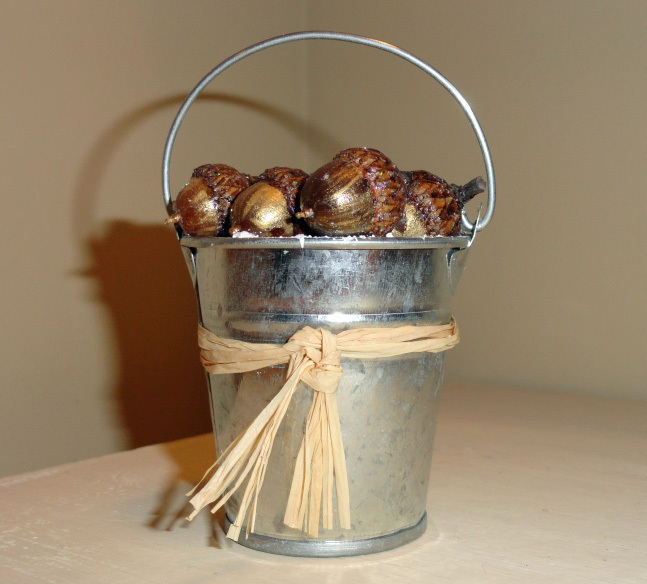 The bucket of acorns adds a fun rustic touch to your tree. This craft makes use of your collection of acorns. 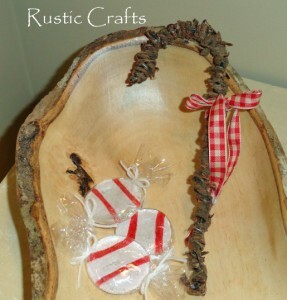 Finally, the rustic bark covered candy is easy to hook on your tree or set on a candy dish or plate. Check out just how this was made from this tutorial. This gives you a total of ten ideas for homemade Christmas ornaments that you could use in a rustic or shabby chic style tree. Hopefully you can give one or more of these a try or be inspired for a new idea of your own. Whatever you do, enjoy the season and the fun of decorating! I like the jute ornie and Christmas tree! I’ve been seening the jute ornie all through blogland, I just may have to make a few as I have lots of jute!